This book is now available to buy from Amazon (and no doubt other book sellers). Here are a couple of pages from the book showing the two blocks I contributed: Just Jack, a 12" union jack block. And Windmill, a 12" double circle of flying geese block. I chose the name windmill because it was catchier than "Double Circle of Flying Geese" and because my Mum spent many of her working days in charge of the Windmill and Watermill section of the British Society for the Protection of Ancient Buildings. Occasionally she comments on my blog under the psuedonym "Windy Miller". There are lots of other wonderful blocks in the book some of which you can see on the front and back of the book. And if you put your reading glasses on and go grab a magnifying glass, you can even see my name on the back of the book which, oddly, was pretty exciting for me. I have never been in print before so I'm ready to leave multiple copies of this book in multiple locations around my house for people to stumble upon and say: "Oh look, she's got the same name as you". Looks like a great book, Lynne. Love your blocks! The windmill one looks complicated! Congrats! Your blocks are gorgeous! I just stitched up my first circle of geese, now I need to tackle your double one. Eeep! Both blocks look great, but I really love the Windmill. Yeah! Congratulations on being in print - lovely to see your name on the back! Now, when will we see the book that's got your name, and your name only, emblazoned across the front?!! Love your blocks Lynne...congrats on the book. That looks like one for the Christmas list. I love the Union Jack square. 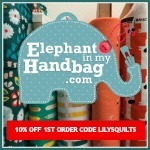 I have just ordered a copy knowing your lovely blocks are in there! Congratulations Lynne.... No doubt this will not be your only book. Yay congrats! Lovely blocks - love the windmill one! How exciting for you - I'm such a sucker for books, so amazon is my next stop. Hope you`ll be putting this on as one of your gifts for quilters...congrats on getting in print. As others have said, it won`t be your last. Looks like a wonderful book! I will be checking it out. And congratulations for your contribuiton of two fabulous blocks. Well who's the cool girl in town??? Well done Lynne! First of many?? Windy Miller made me giggle. And nicely done on the blocks, Ms. Goldsworthy! 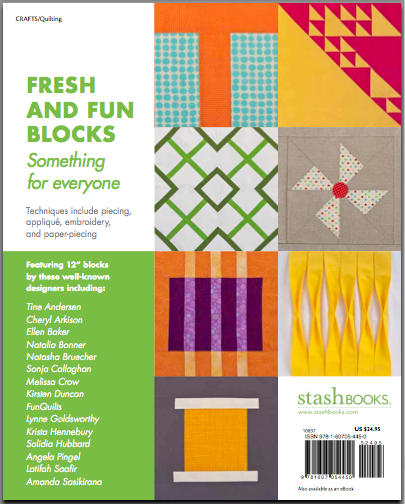 How exciting to see your blocks in a book! I love the windmill! I think that alone could entice me to buy the book. With you and Angie both in the book, I am convinced that I'll just have to buy the book! your blocks are perfect! i cant wait to get my hands on that book! 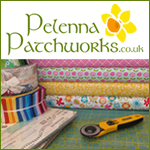 wow, I am very impressed Lynne, and they are beautiful blocks and very worthy of publication. Well done!! Congratulations! Your work is always lovely. I'm not surprised at all that she has the same name you do. Fan-flooping-tastic! My copy keeps being bumped down Amazon's despatch schedule, the rotters - have a feeling that it might be cheaper and quicker to order from US Amazon! Congrats! You should be very proud. Like others have mentioned before me, I think this needs to go on the Christmas list. Yay Lynne! 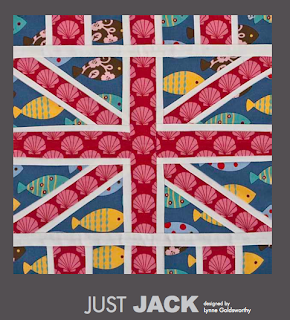 Now I can finally show the full picture of the Just Jack block I made for Kathy way back when. ;) Much to my regret, I still haven't made the flying geese block...but I will! And it will go in my Modern Blocks quilt. Congratulations Lynne. Already ordered it from Amazon. I like the idea of leaving copies around the place for people to stumble upon your name. Now we need a giveaway with a signed copy. Congratulations Lynne! 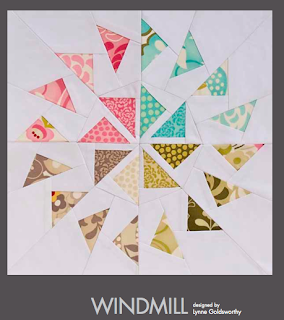 So exciting and gorgeous blocks :) I think double circle of flying geese is pretty catchy actually ;) Glad you went with Windmill! I so want one! Its going on my christmas list. I'm going to have to pay attention to windy miller! I will have to try and get my hands on this book. Congratulations! 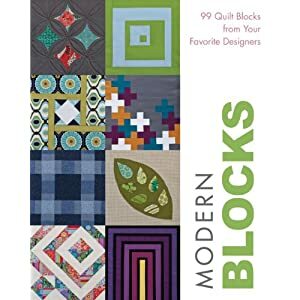 Looks like a great book, I am always looking for modern blocks.. And I love your blocks! Fabulous blocks in an amazing looking book. Your blocks are a well deserved addition! This is such a cool book. And I love "knowing" some of the very creative people who have blocks published in it. And you know I want my copy signed of course! Congratulations :) Here at last! When I first looked through the book I saw the Union Jack and sat up straight in my chair thinking, if ANYONE'S name other than Lynne's is on there I'll beat her up! I'm truly glad there was no need for violence. YOu and the Kristas so totally rock. And Angela, well, she must have stock in REdbull. Congrats Lynne, well deserved recognition. 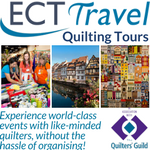 Have just pinned this on my wish list. I can't believe it's finally out and overjoyed to "know" one of the contributors! Yahoo!! Great blocks! I love how unique they are. Congrats! Just got my copy!! lol the last line of your post made me chuckle- love your sense of humor as always! your blocks are fab- and love that your mom goes by Windy Miller- I see where you got your cleverness. 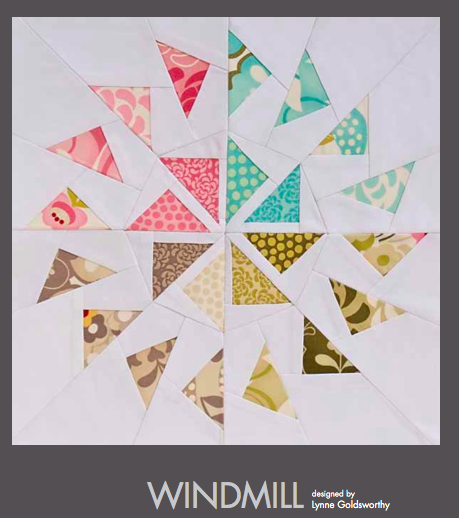 I am ordering that book today, I have been waiting a long time to make the Windmill block of yours! Congratulations, it is great to see you in the book and on the cover! So happy for you....my copy is coming in the mail...can hardly wait for it to come. congratulations! This is already on my wish list, right at the very top! Congratulations... Here's to the next time seeing your name in print being on the cover of your own book! I preordered my book from Amazon and have had it for a few days now. I have to say that I love it and I love your blocks. I'm definitely going to be making your Jack block and then we will see if I feel like tackling those geese!